Sunday night’s episode of “The Walking Dead” revolved around two fan favourites, Daryl (Norman Reedus) and Carol (Melissa McBride). Along the way, the two come across a van hanging off a bridge which leads to one of the episode’s huge practical effects. Here’s how the scene plays out in the episode. According to “The Walking Dead” after show “The Talking Dead,” the series used a total of four identical vans to complete the scene, two of which made the 50 foot drop. 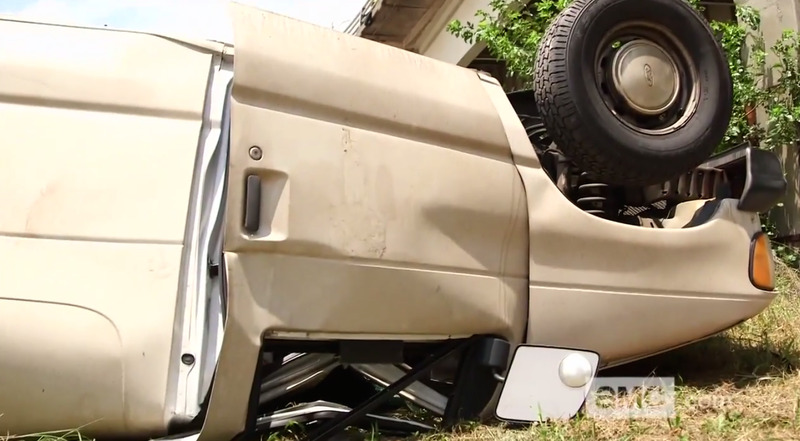 In a behind-the-scenes featurette on the episode, “The Walking Dead” crew shows how they faked the van crash to make it look like the duo landed pretty safely. Here’s what you end up seeing on the show. AMC/The Walking DeadThat’s not the real Daryl and Carol in those seats.